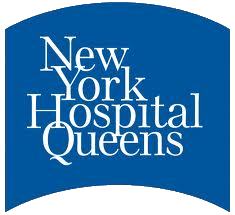 The New York Hospital Queens (NYHQ) has been equipped with Smart Cabinet and StockBox RFID systems provided by LogiTag Systems to better manage inventory on high-value medical devices and supplies. The Smart Cabinet is managing a variety of critical medical devices in two interventional radiology labs. In addition to the Smart Cabinets, LogiTag’s StockBox is being used to manage the inventory and replenishment of all remaining low-cost supplies which are stored in existing, inexpensive cabinets and shelving. With solutions from LogiTag, NYHQ is now able to manage their entire inventory of medical and surgery devices and supplies in the infrared labs without the need to count while providing a simple solution that meets the operational demands of the clinicians. Individual items are monitored including their expiration date, lot/batch number, and par levels and users, distributors, even manufacturers can use any web-enabled device to manage the information to improve logistics and operations. Users do not need to log into the system or follow other time-consuming procedure, which leads to greater compliance and operational efficiency. 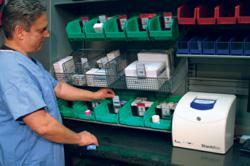 For inventory management, orders are automatically sent to the system administrator and/or directly to the hospital’s distributor.